So you have your business and you’re building a brand, but you’re stuck on how to navigate the world of social media. Now what? Whether your business has been around for decades or you’re currently in the process of launching your brand, curating your voice can pose a challenge at any stage. Often times fine-tuning your brand is not a top priority item on the long list of your company’s to-dos, but establishing who your brand is and how it sounds is essential to creating long-lasting relationships with your customers. 1. Establish who you are—and who you’re not. What are your differentiating factors from the competition? What sort of value do you want to offer your consumer? What sort of long-lasting impression you want to leave on your audience? How do you not want be portrayed? How do you not want to sound? This is a crucial first step in setting the tone for how you’ll communicate with your audience on social media and in all other future encounters. 2. 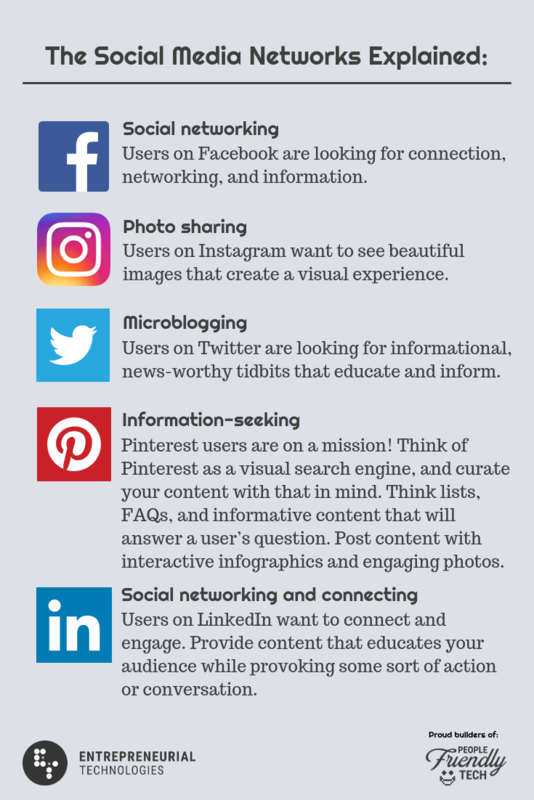 Understand the different social networks and how to utilize them to your advantage. 3. Define your types of content. Once you’ve established the social media networks that best fit your brand’s offerings and audience, you can start planning your content. Consistency is key, so choose 3 to 4 different content types or themes that will define how your audience will identify with you. This ensures you remain on-brand and provide a steady stream of content that is reliable for your audience. For your business, maybe this looks like social posts promoting your most recent blogs, graphics promoting your latest sale, or sharing motivational quotes and silly memes. You could even sprinkle in different themed-series’ throughout the year, spotlighting various sectors of your business through behind-the-scenes peeks or interviews with your staff. Choose content that resonates with your brand voice and enriches your consumer’s knowledge or facilitates a purchasing decision. 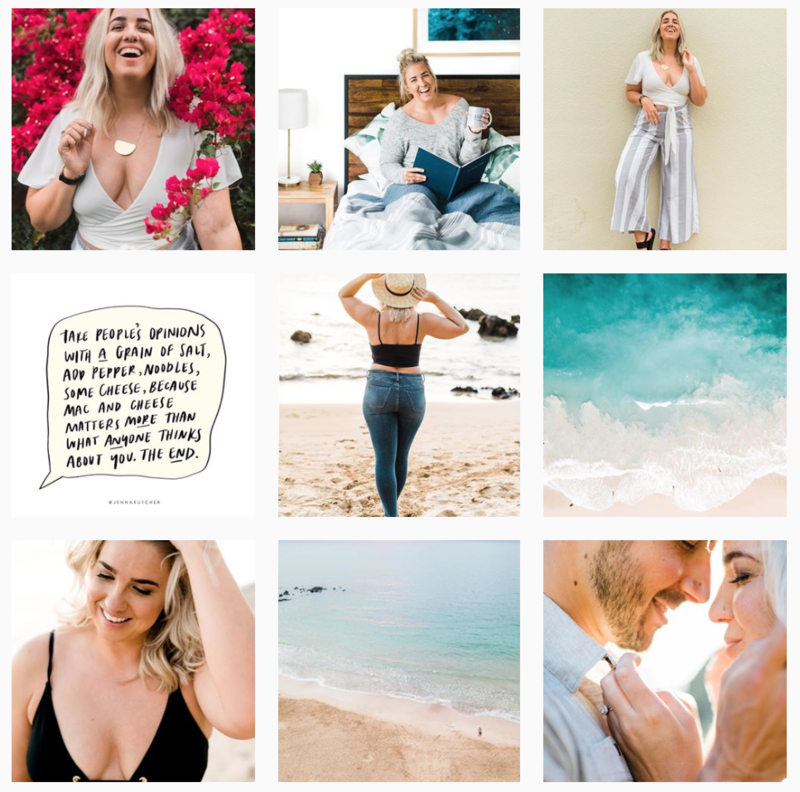 The idea is that if someone took your logo off of all your images and only displayed your photos and captions to a consumer, they should still be able to identify your brand, your feed, and your voice. Why is your business here? That may sound like a weighty question, but it’s important to be able to easily reference the reason your brand exists. Why did you start this journey? Who are you trying to help, and why did you feel the need to start now? Always remain true to the reason you created your brand, and make sure that shines through your voice on social media. People want to work with real people—not just another business or big brand hiding behind massive followings and sparkling photos. Those two things are definitely nice, but being genuine about who you are and why you want to connect with your audience is what will set you apart from the rest. Are you feeling inspired to revisit your why? Perhaps you want to focus on your digital marketing strategies? Contact us today to chat about how we can help take your brand to the next level.